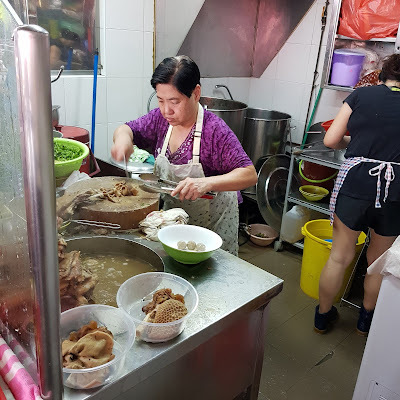 I have heard about this mutton soup stall for some time, but have not given a thought to give it a try. This is because of its location, short operating hours and the perpetual long queue at the stall. It was only after it got the Michelin Bib Gourmand award that I decided to give it a try. I went at 12.30pm on a weekday and brave the queue with slightly more than 20 persons in front of me. Surprisingly, I queued for just 25 minutes as the service, including ordering, cooking and cutting the parts, was quick. 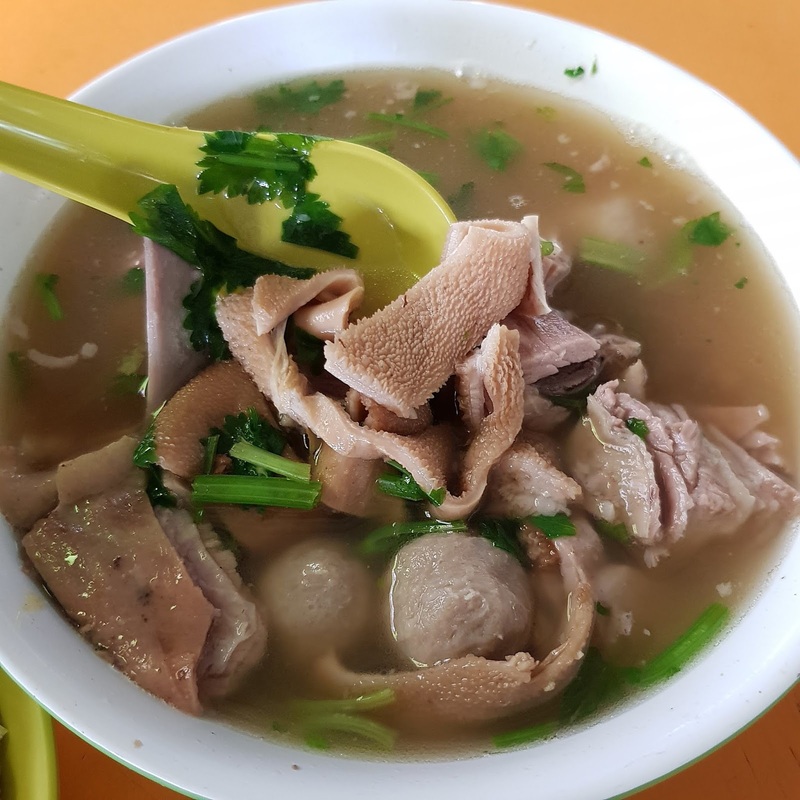 Cai Chuan Tou Mutton Soup as its name suggests specialises in mutton soup. 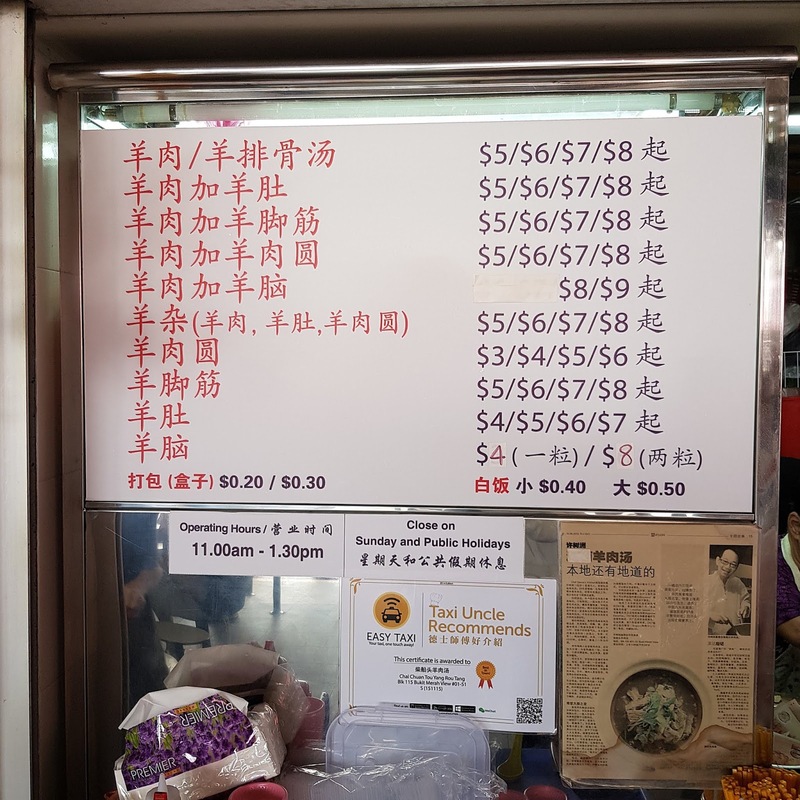 They sell a whole range of mutton meat/parts ranging from meat, ribs, meatballs, tendon, stomach to even the most exotic part, the brain! 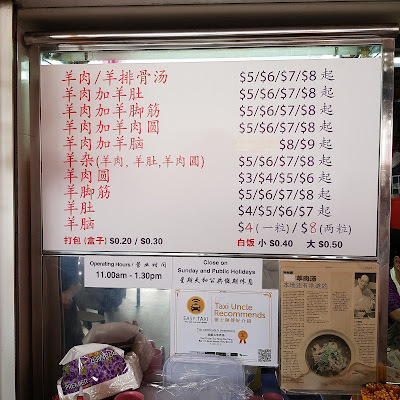 Since I did not know what to order, wanted to try as many variety as I could without feeling brave enough to try the brains, I decided to go for the Mutton Mixed Bowl. The Mutton Mixed Bowl consisted of meat, meatballs and stomach. 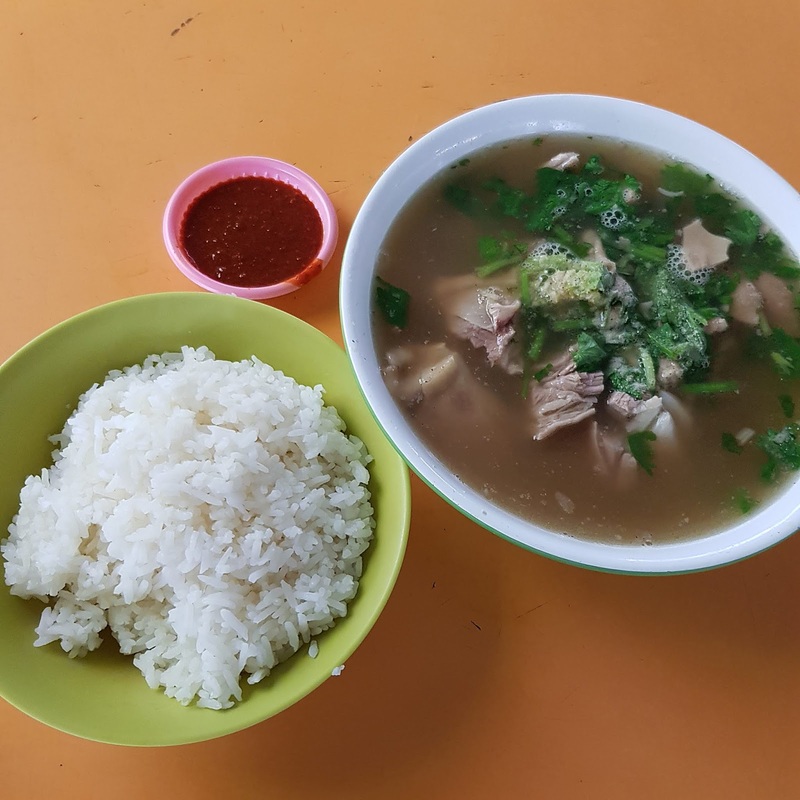 The Mutton Soup was lightly flavoured and had a very very mild herbal taste. 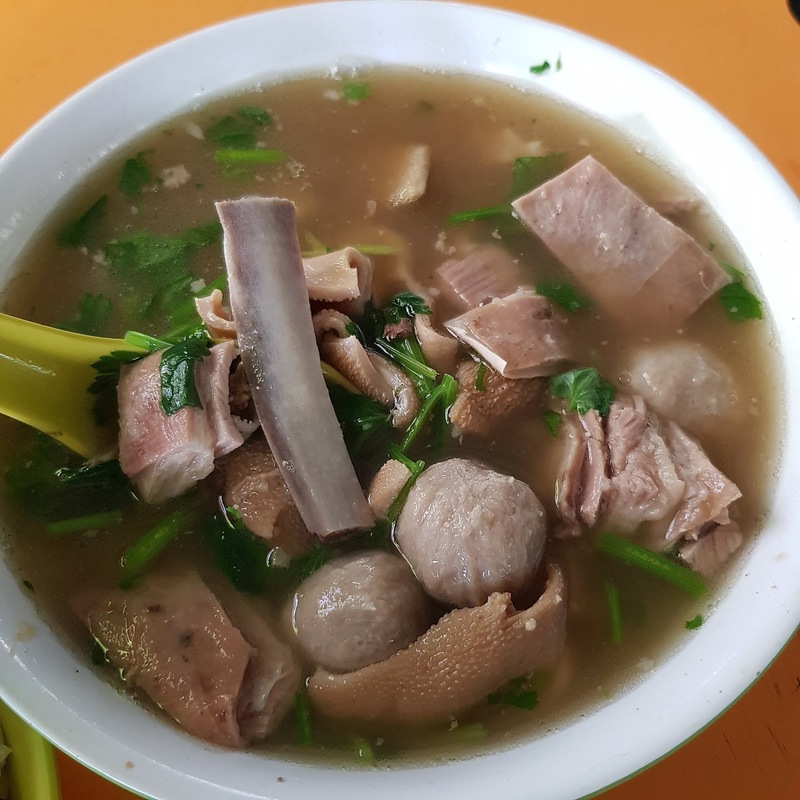 Interestingly, despite the mild flavours, there was no pungent gamey taste of mutton in the soup. As for the mutton meat, it was tender. In fact, I noticed that mutton ribs were also given and for the ribs, their meat were practically folk tender! As for the mutton meatballs and stomach, there was nothing much to shout about as I felt that there was not much taste in the meat. In fact, everything tasted so light and was so mildly flavoured. This is coming from a guy who does not like salty food or extremely sweet stuff. If you are keen to try this, be there early as I heard that they can close as early as 1.30pm when they sell out all the parts. 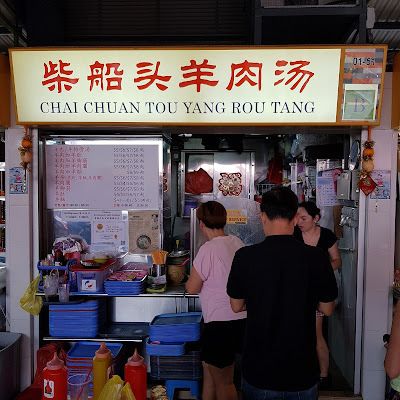 (Read with a pinch of salt or two) Personally, I do not understand the hype and why the stall has gotten the Michelin Bib Gourmand award while others have not. The unique selling point I felt was more towards price. It is so cheap! Mutton dishes are typically more expensive elsewhere. For mutton soup, I prefer Ivy's Hainanese Herbal MuttonSoup version.